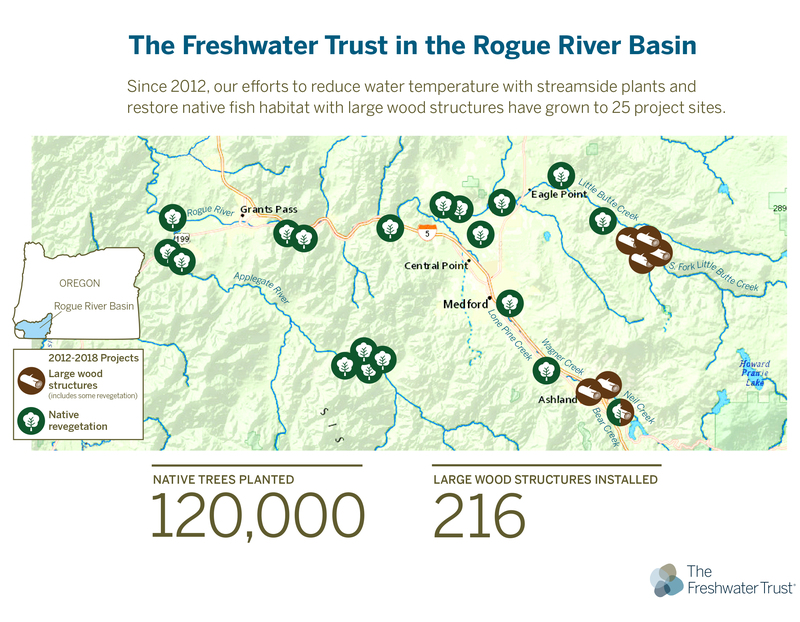 We began restoration work in the Rogue River Basin in 2012 by planting more than 2,000 cottonwoods, Ponderosa pine and other native vegetation on streamside property north of Medford. Since then, our efforts to reduce water temperature with streamside plants and restore native fish habitat with large wood structures have grown to 25 project sites. These early actions have helped build capacity and spur additional projects with local partners to fix the basin. Interested in more infographics like this? Danielle Dumont is the Program Communications Manager for The Freshwater Trust.